The early history of the cup is unknown, and it is first mentioned in print in 1845, when a French writer said he had seen it "some years ago, in the hands of M. Dubois". This is probably shortly before it was acquired by the Rothschild family. Certainly Lionel de Rothschild owned it by 1862, when he lent it to an exhibition at what is now the V&A Museum, after which it virtually fell from scholarly view until 1950. In 1958 Victor, Lord Rothschild sold it to the British Museum for £20,000, £2,000 of which was donated by the Art Fund (then the NACF). The figure of Lycurgus, bound by the vine and naked apart from boots, is flanked on the left by a crouching Ambrosia, at a considerably smaller scale. Behind her one of Dionysus's satyrs (shown with a normal human form) stands on one foot as he prepares to hurl a large rock at Lycurgus. In his other hand he holds a pedum or shepherd's crook. To the right of Lycurgus comes first a figure of Pan, then at his feet a rather canine-looking panther, the traditional companion of Dionysus, whose face is missing but was presumably snapping at the king, and then the god himself, taunting him with his right arm extended in an angry gesture. Dionysus carries a thyrsus, the special staff of the god and his followers, and his dress has an Eastern, perhaps Indian, flavour, reflecting what the Ancient Greeks generally believed (perhaps wrongly) about the origins of his cult. The calf section of one leg has been lost. A streamer hanging behind him from his thyrsus overlaps the raised foot of the satyr with the rock, completing the circle of the cup. The cup may have been intended for use at Bacchic cult celebrations, still very much a feature of Roman religious life around 300. A letter suppposedly from the Emperor Hadrian (d. 138) to his brother-in-lawServianus, quoted in a biography in the Historia Augusta, records the gift of two dichroic cups, which the 4th century author had seen: "I have sent you particoloured cups that change colour, presented to me by the priest of a temple. They are specially dedicated to you and my sister. I would like you to use them at banquets on feast days." The cup was probably designed for drinking from at feasts, or more specifically Bacchic cult celebrations, where the lack of a foot, also a feature found in other cage-cups, may mean it was passed around, as elaborate cups often were in medieval cultures. Alternatively other cage cups were almost certainly used, suspended, as oil lamps, where the dichroic effect of this cup would show to advantage. The Lycurgus Cup is a 4th-century Roman glass cage cup made of a dichroic glass, which shows a different colour depending on whether or not light is passing through it; red when lit from behind and green when lit from in front. It is the only complete Roman glass object made from this type of glass, and the one exhibiting the most impressive change in colour; it has been described as "the most spectacular glass of the period, fittingly decorated, which we know to have existed". It is interesting to note that the glass would have gold / silver added in monatomic form. Reminds me of a particular churches stained glass windows ! I went no further than this. The carnivore ancestor Dormaalocyon latouri, roamed Europe 56 million years ago. Lions, tigers, bears and even loyal pups and playful kitties all come from the same line of carnivorous mammals, a lineage whose origins are lost in time. Now, scientists have discovered one of the earliest ancestors of all modern carnivores in Belgium. The new species, Dormaalocyon latouri, was a 2-pound (1 kilogram) tree-dweller that likely fed on even smaller mammals and insects. "It wasn't frightening. It wasn't dreadful," said study researcher Floréal Solé, a paleontologist at the Royal Belgian Institute of Natural Sciences in Brussels. What it was, Solé said, is a clue to the beginnings of today's toothy beasts. "Archeologists in Egypt have unearthed the remains of a previously unknown Egyptian pharaoh, a royal ruler whose identity has remained a mystery for more than 3,600 years. The discovery of King Woseribre Senebkay’s tomb is the first material proof of the previously unknown Abydos Dynasty, which ruled the central region of ancient Egypt around 1650 BC. Archeologists from the University of Pennsylvania unearthed Senebkay’s tomb earlier this week and were startled to find the remains of king who had been all but erased from history. 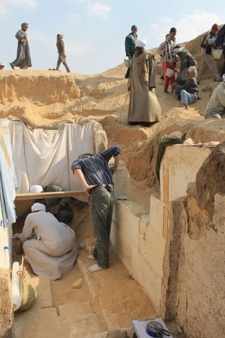 Senebkay’s tomb had been badly damaged by ancient tomb robbers who had ripped apart his mummy and stripped the tomb of many of its gold-covered artifacts. Archeologists from the Penn Museum were able to recover Senebkay’s remains among debris from his coffin and deciphered his name from a section of hieroglyphs inside his tomb. 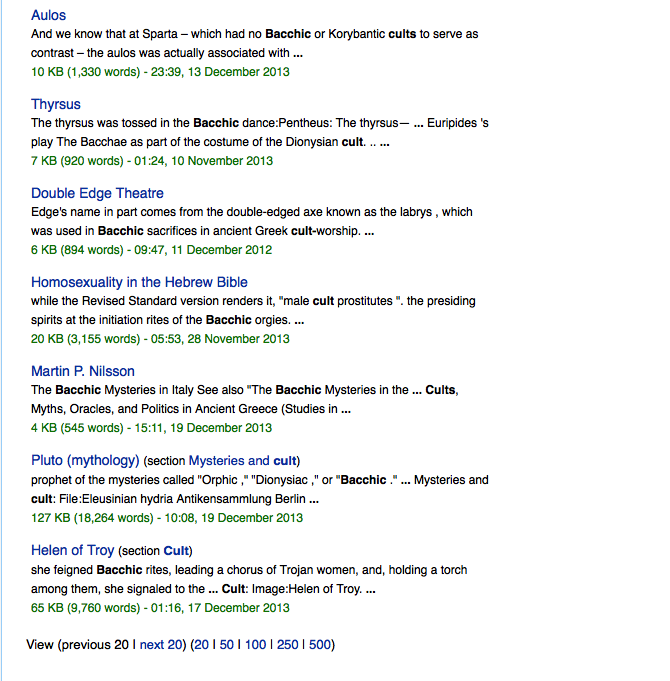 Researchers were baffled since Senebkay’s name had never appeared on records before." 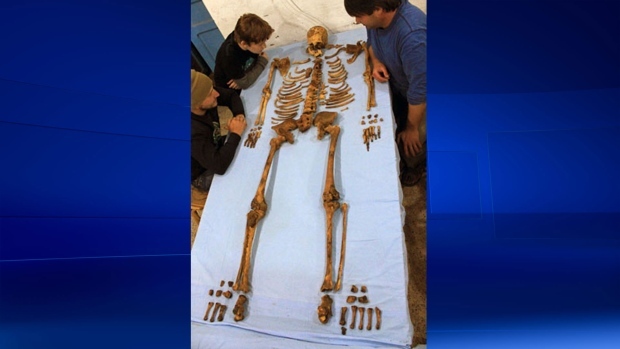 They worked to piece together his remains and with the help of skeletal analysis, have estimated that the long-lost Egyptian king was about 5-feet-10-inches tall and died in his mid- to late- 40s. Normally Archeologists unearth sites, but not this time. "A family of rabbits are believed to be responsible for unearthing an 8,000-year-old archaeological 'gold mine' near Land's End. 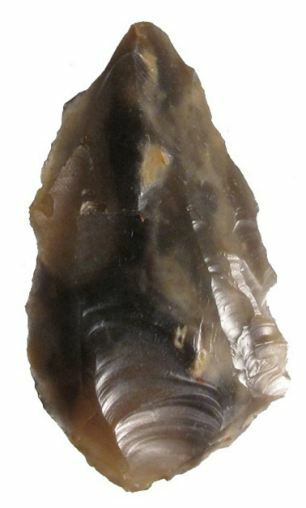 A haul of Stone Age arrow heads and flint tools found in a freshly dug network of rabbit warrens less than 200 yards from the Cornish landmark has led archaeologists to plan a full excavation of the site. Although a formal dig of the 150-acre area is yet to begin, initial analysis suggests there could be a large Neolithic cemetery, Bronze Age burial mounds and an Iron Age hill fort buried there. Big Heritage now plan to spend the next two years excavating the site. 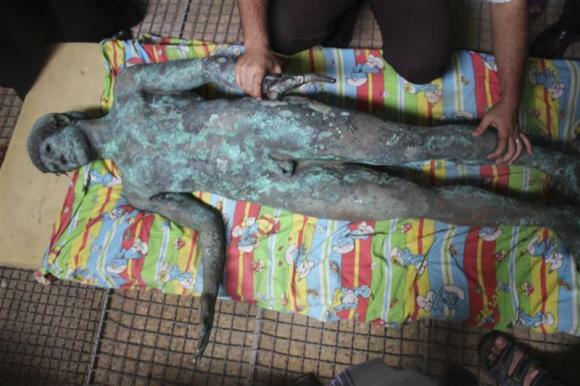 "Lost for centuries, a rare bronze statue of the Greek god Apollo has mysteriously resurfaced in the Gaza Strip, only to be seized by police and vanish almost immediately from view. A local fisherman says he scooped the 500-kg god from the sea bed last August, and carried it home on a donkey cart, unaware of the significance of his catch. Others soon guessed at its importance, and the statue briefly appeared on Ebay with a $500,000 (RM1.6 million) price tag – well below its true value. Police from the Islamist group Hamas, who rule the isolated Palestinian territory, swiftly seized it and say they are investigating the affair. To their great frustration, archaeologists have not been able to get their hands on the Apollo, and instead must pore over a few blurred photographs of the intact deity, who is laid out incongruously on a blanket emblazoned with Smurfs. From what they can tell it was cast sometime between the 5th and the 1st century BC, making it at least 2,000 years old. "It's unique. In some ways I would say it is priceless. It's like people asking what is the (value) of the painting La Gioconda (the Mona Lisa) in the Louvre museum," said Jean-Michel de Tarragon, a historian with the French Biblical and Archaeological School of Jerusalem. "This wasn't found on the seashore or in the sea... it is very clean. No, it was (found) inland and dry," he said, adding that there were no tell-tale signs of metal disfigurement or barnacles that one normally sees on items plucked from water. Statues such as the Apollo cast would not have been held in isolation, meaning it might prove the tip of an historical iceberg, Tarragon said." There is a good photo of the statue at the following link, Reuters pic, can't post it but go look. 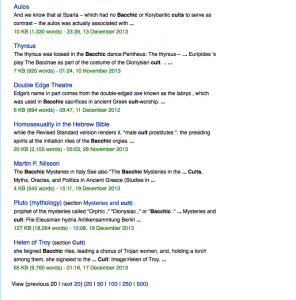 was He gold or was he jesting? was it Halcyon to be? ancient eather in His hollow. one blue eye, and no troy weight. And in repose on cloth of Smurf. Let him lie, and find new mirth. A cleaned and preserved Leanchoilid fossil reveals the animal's delicate appendages. "A treasure trove of fossils chiseled out of a canyon in Canada's Kootenay National Park rivals the famous Burgess Shale, the best record of early life on Earth, scientists say. The new site is also in the Burgess Shale formation, and seems to rival the 1909 original in fossil diversity and preservation, researchers report today (Feb. 11) in the journal Nature Communications. In just two weeks, the research team collected more than 3,000 fossils representing 55 species. Fifteen of these species are new to science. [Gallery: Amazing Cambrian Fossils from Canada's Marble Canyon]"
"Epic winter swells just off of Oahu, Hawaii, have churned up monster waves more than 7 meters high, sent seawater surging around the foundations of beachfront homes, and gnawed away at sandy cliffs along the island’s North Shore. A public safety officer reported the find to the foundation in late January, but social media have been rife with reports by surfers, beachcombers, and rock-art enthusiasts who have been sharing pictures of the glyphs since shortly after the new year when the swell started." Dubbed by the local press “Sweden's Atlantis” after the fabled island which according to Greek philosopher Plato sank around 9600 B.C. in the Atlantic Ocean, the newly discovered site was in fact some sort of a dump in which nomadic Swedes discarded objects, according to a report by the Swedish daily The Local. Buried 52 feet below the surface at Hanö, a sandy bay off the coast of Skane County in Sweden, the items include wood pieces, flint tools, animal horns, ropes, a harpoon carving made from an animal bone and the bones of an aurochs and an ancient cattle which became extinct in the early 1600s. 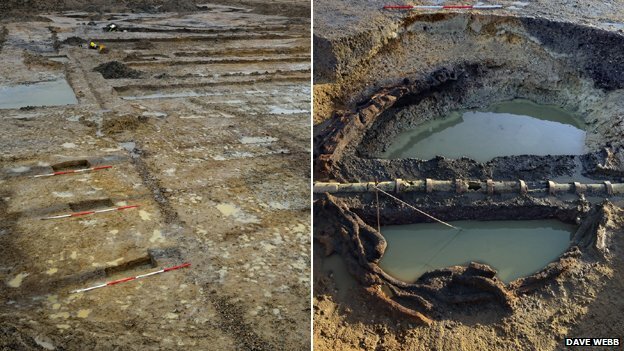 "There's wood and antlers and other implements that were thrown in there," project leader Björn Nilsson, archaeology professor at Södertörn University, told the Local. Amazingly, the artifacts have been perfectly preserved because of the abundant oxygen-consuming“gyttja” -- a black, gel-like sediment which is formed when peat begins to decay. "Around 11,000 years ago there was a build up in the area, a lagoon or sorts ... and all the tree and bone pieces are preserved in it. If the settlement was on dry land we would only have the stone-based things, nothing organic," Nilsson said." 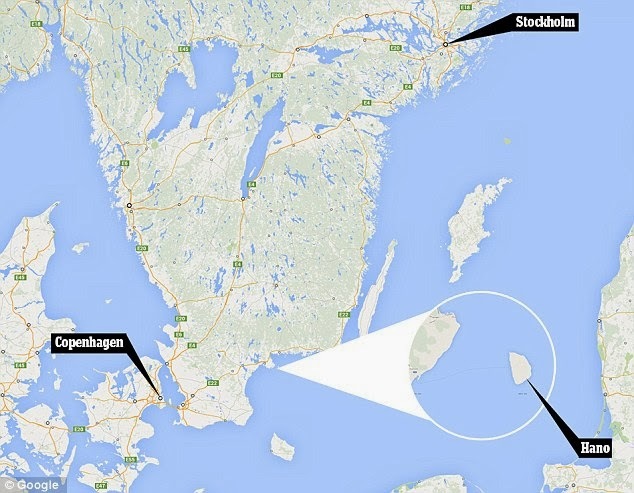 "Divers in Sweden have recently discovered a rare collection of Stone Age artefacts buried deep beneath the Baltic Sea. Some of the relics are so well preserved, reports have dubbed the find ‘Sweden’s Atlantis’ and suggested the settlement may have been swallowed whole by the sea in the same way as the mythical island in the Atlantic Ocean." 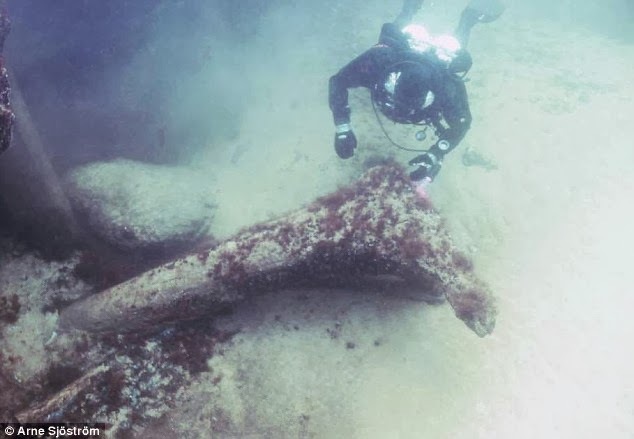 "The artefacts were discovered by Professor Bjorn Nilsson from Soderton University, and a team from Lunds University, during an archaeological dive at Hano, off the coast of Skane County in Sweden. Buried 16 metres below the surface, Nilsson uncovered wood, flint tools, animal horns and ropes. Among the most notable items found include a harpoon carving made from an animal bone, and the bones of an ancient animal called aurochs. Aurochs are ancestors of modern-day cattle and lived through Europe before becoming extinct in the early 1600s. The last reported auroch died in Poland in 1627. This find is significant because it suggests a date for when these items would have been used. Many of the artefacts have been preserved because the diving location is rich in a sediment called gyttja." From the water the mythic past emerges and delivers it's message, if there ever was one, of observance of the structure of time, and though naked to the light of consciousness, history stands tall to be accounted for and elaborated on and ridiculed ad nauseam. Nilsson admitted that "lousy Swedish tabloids" had blown the story out of the water by labelling the find "Sweden's Atlantis", even though the remnants never belonged to an actual village. The people were all nomadic at the time, he explained, so there was no village. Has anyone heard of this before and what are your thoughts on the subject... Apparently the smithsonian claims it never happened and there is no artifactual evidence of it... Just the article from the Arizona Gazette. would spend time with binocs scouting that town-- because it stinks and at night that place has a weird glow coming from the canyon. many NASA employees have retired to Payson and then Young is a LDS town. Something has drawn this interest from our ET friends. Strange microscopically small nanospirals within material that had to be at least 100,000 years old have been detected in several places, during a routine investigation of mineral deposits in the Ural Mountains in 1992. The origin of these extraordinary but strange artifacts that the human eye can barely see - is still not explained. This guy, Michael Cremo, has made some quite extensive work on what he has coined Forbidden Archaeology. Michael Cremo delivered a lecture on Forbidden Archeology at Stanford University on April 27, 2012. "A new dinosaur species found in Portugal may be the largest land predator discovered in Europe, as well as one of the largest carnivorous dinosaurs from the Jurassic, according to a paper published in PLOS ONE on March 5, 2014 by co-authors Christophe Hendrickx and Octavio Mateus from Universidade Nova de Lisboa and Museu da Lourinhã. T. gurneyi had blade-shaped teeth up to 10 cm long, which indicates it may have been at the top of the food chain in the Iberian Peninsula roughly 150 million years ago. The scientists estimate that the dinosaur could reach 10 meters long and weigh around 4 to 5 tons. The number of teeth, as well as size and shape of the mouth, may differentiate the European and the American Torvosaurus. The fossil of the upper jaw of T. tanneri has 11 or more teeth, while T. gurneyi has fewer than 11. Additionally, the mouth bones have a different shape and structure. The new dinosaur is the second species of Torvosaurus to be named." "A 'Jurassic Park' in China was once home to dinosaurs that lived among early mammals, amphibians and other strange creatures 160 million years ago. 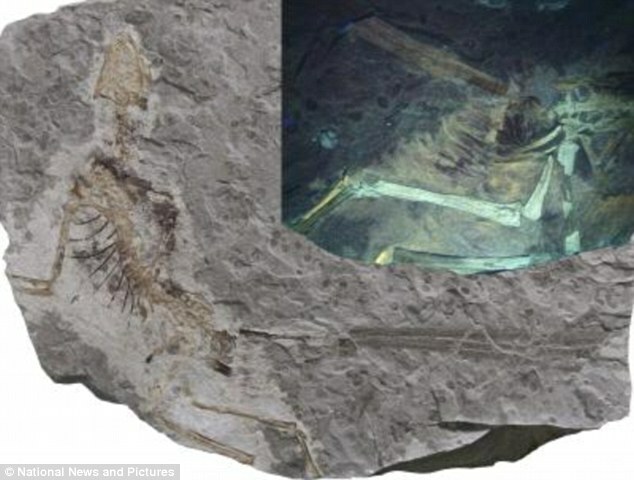 The extraordinary fossil bed contains the bones of pterosaurs - early mammals – including the first known swimming mammal with a beaver-like tail, the earliest gliding mammal and feathered dinosaurs. 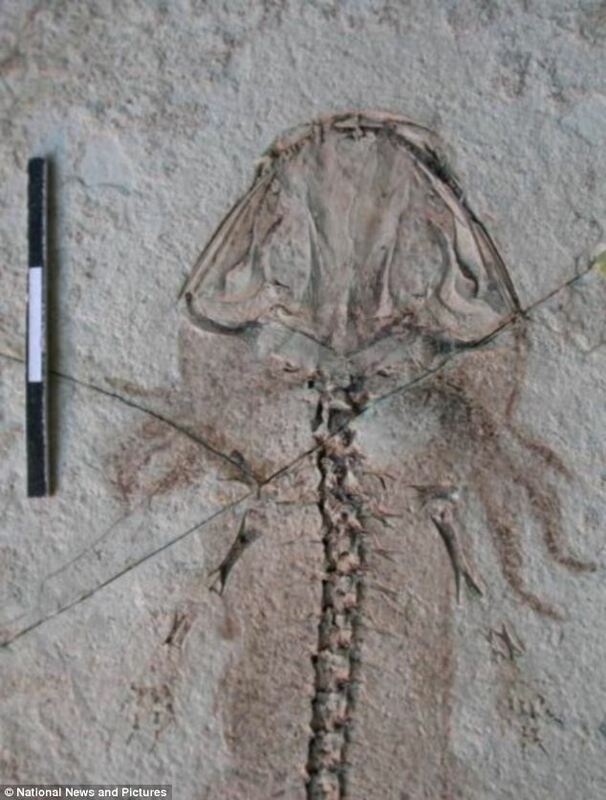 Their remarkably preserved remains were discovered in rocks beneath the Jehol Biota in north eastern China - a famous collection of 130 million-year-old fossils from the Cretaceous Period. The extraordinary fossil bed contains the bones of pterosaurs - early mammals ¿ including the first known swimming mammal with a beaver-like tail, the earliest gliding mammal and feathered dinosaurs. This is a reconstruction of the Daohugou site's fauna. 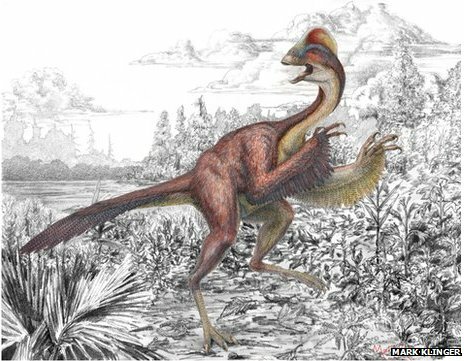 The latest discovery sheds light on life in the Middle-Upper Jurassic 30million years earlier when birds are believed to have evolved from feathered dinosaurs. The newly discovered Middle Jurassic fossils have been named the Daohugou fossils or Daohugou Biota after a village near one of the six sites dug up and have been catalogued and described in detail. A new study has classified these fossils as belonging to a distinct ecological group, or biota from the famous 130-million-year-old specimens, which include the world's most exquisitely preserved feathered dinosaurs. The Middle Jurassic fossils date from a time when many important vertebrates including mammals were undergoing evolutionary diversification. Dr Corwin Sullivan, of the Institute of Vertebrate Palaeontology and Palaeoanthropology in Beijing, said: ‘The Daohugou Biota gives us a look at a rarely glimpsed side of the Middle to Late Jurassic. 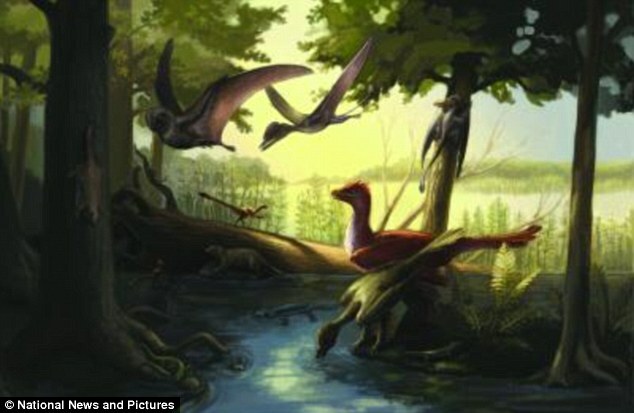 A feathered dinosaur, Epidexipteryx, was found at the site. The inset shows feathers and soft tissues revealed by the use of ultraviolet light. Dr Yuan Wang, co-author of the study, said: ‘The Daohugou amphibians are crucially important in the study of the phylogeny and early radiation of modern amphibian groups.’"
"Archaeologists have unearthed an ancient staff carved with two realistic human faces in southern Syria. "The find is very unusual. 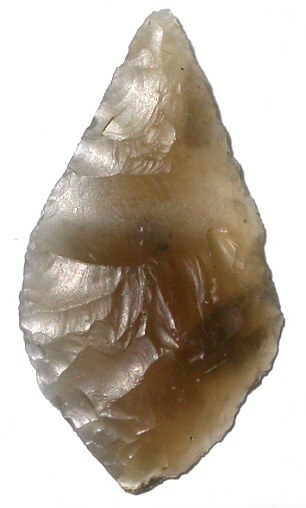 It's unique," said study co-author Frank Braemer, an archaeologist at the Centre National de la Recherche Scientifique in France. Researchers first uncovered the wand during excavations in 2007 and 2009 at a site in southern Syria called Tell Qarassa, where an artificial mound made from the debris of everyday human life gradually built up in layers over millennia. (Though many stunning archaeological sites have been looted or bombed since the onset of the Syrian Civil War, this site is in a fairly peaceful area and has so far escaped damage.) [Photos: 7 Stunning Archaeological Sites in Syria]"
"LONDON (Reuters) - British archaeologists have found what they say is the world's oldest complete example of a human being with metastatic cancer and hope it will offer new clues about the now common and often fatal disease. "Insights gained from archaeological human remains like these can really help us to understand the evolution and history of modern diseases," said Michaela Binder, a Durham PhD student who led the research and excavated and examined the skeleton. "Our analysis showed that the shape of the small lesions on the bones can only have been caused by a soft tissue cancer ... though the exact origin is impossible to determine through the bones alone." Despite being one of the world's leading causes of death today, cancer is virtually absent in archaeological records compared to other diseases - and that has given rise to the idea that cancers are mainly attributable to modern lifestyles and to people living for longer." I know this is not the usual ancient find, but still interesting. Proves cancer has been around a long long time, not just In modern times. "Planting beds and pit wells were unearthed at the North West Cambridge site near Huntingdon Road. "Scientists in the US have announced the discovery of a new species of dinosaur. The fossils offer further clues to how the dinosaurs became extinct 66 million years ago. Anzu wyliei is a strange bird-like creature that has a bony crest on top of a beaky head and a long tail like a lizard. It was identified from the partial remains of three skeletons collected in North and South Dakota. The first detailed report about the Anzu wyliei is published today by the journal PLOS ONE. "We had inklings that there might be such a creature out there, but now with these bones we have 80% of the skeleton and can really look in detail at the structure of this animal and make inferences about its biology," says Hans Sues, curator of vertebrate palaeontology in the department of paleobiology at the Smithsonian's National Museum of Natural History in Washington DC. "Anzu is really bizarre, even by dinosaur standards. "The skull has this extraordinarily tall and thin crest with a snout and a huge beak with sharp edges and a strange sliding jaw joint" that could be used to cut up vegetation and meat, he says."